Stable midrange that flies straight under full power. 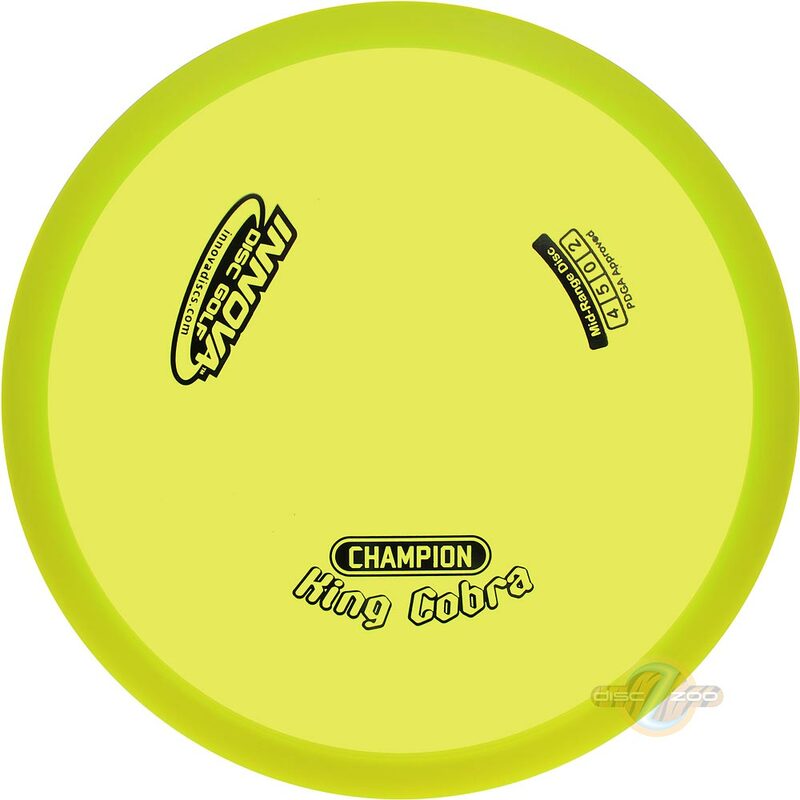 The King Cobra has the stability that players will need in a long-lasting Champion midrange. Just enough to be straight under full power when brand new, and aging gracefully for a straighter finish, just like a midrange should do! 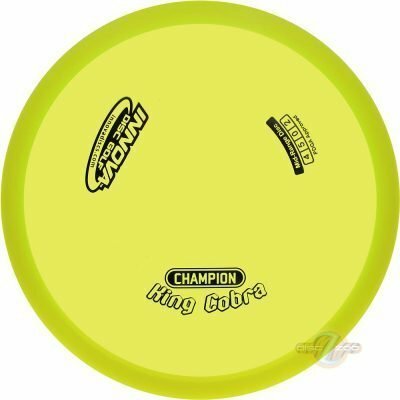 With an Ontario mold, the King Cobra is more stable than a DX Cobra, and falls between the Shark and the Lycan on the stability spectrum.